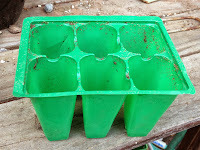 Don't throw away those six-pack plastic plant containers! 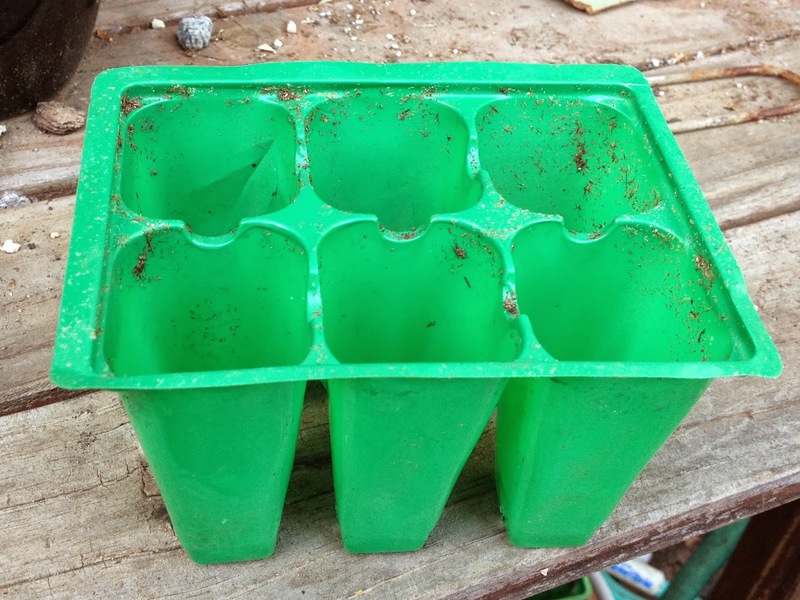 Your faithful Master Gardeners need them to bring more seedlings to the market for you! Please drop them off at the Green Tent on Sunday, Oct. 27, between 9 am and 1 pm. Fava beans which you can eat or use as cover crop; they fix nitrogen in the soil, ask them how. The snap peas they planted are doing nicely, so is the bok choy. 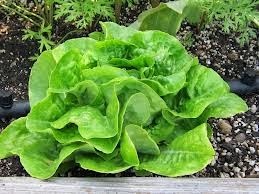 You'll have lettuce through winter with their mesclun mix, plus shelling peas, some swiss chard and a couple of leeks to choose from. And a special bonus: strawberries! Plus, they'll finally have some fall seeds to give away. Stop by, ask questions, get your garden going! Fall is a great time to start a garden! Two weeks after replenishing beds with compost and manure, plant seeds and transplants for the veggies that will keep you eating well through the spring. Get some flowers too! (P.S. : The Master Gardeners' helpline is just a call (626- 586-1988) or email (mglosangeleshelpline@ucdavis.edu) away. Sow fava beans, celery, chard, chives, garlic, kale, kohlrabi, leeks, lettuce (especially romaine types and small-heading bibb and buttercrunch types, which overwinter well), green and long-day bulb onions (which will mature during the lengthening days of next spring and early summer), parsley, peas, radishes, spinach (especially savoy types for more frost resistance), and shallots. 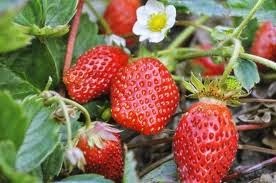 Locate strawberry beds away from where potatoes, tomatoes, eggplants, and peppers have grown within the last 3-5 years to help prevent verticillum wilt infection, or chose strawberry varieties that are resistant to or tolerant of this disease. Incorporate compost, cottonseed meal, and other nutrients based on a soil test. Water well. After two to four weeks transplant strawberries 1 foot apart so the crown is just above the soil level. Strong roots will develop over the winter, and spring warmth will encourage fast growth and large berries. 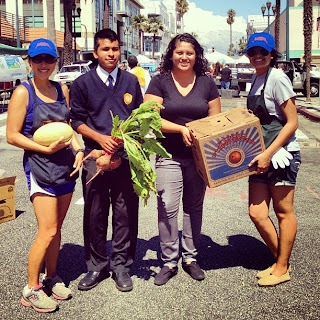 Come learn about the Food Forward Backyard Harvesting Program, Farmer's Market Recovery Program, and other ways to help make an impact in Southern California by getting fresh fruits and vegetables to those needing them most. Food Forward rescues fresh local produce that would otherwise go to waste, (called “gleaning”), connecting this abundance with people in need, and inspiring others to do the same. 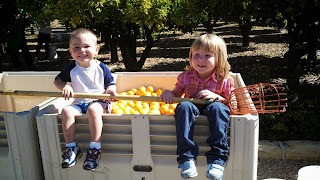 They convene at Farmers Markets, backyards, and properties they're invited to and harvest excess fruits and vegetables. 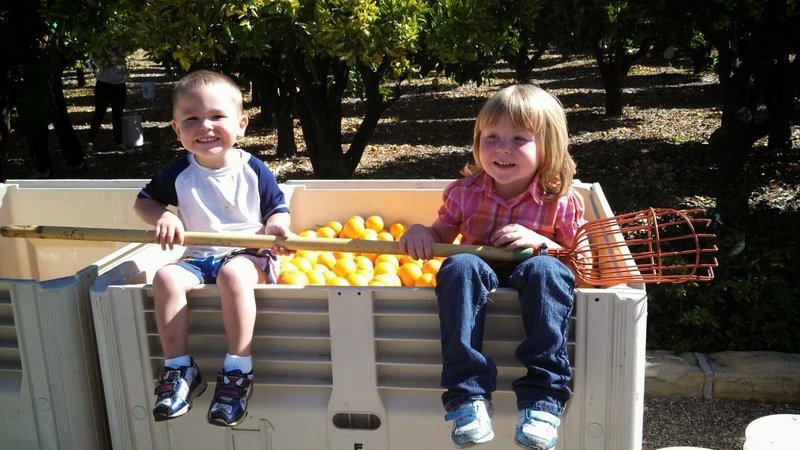 They donate 100% of the gleaned produce to local food pantries across southern California. 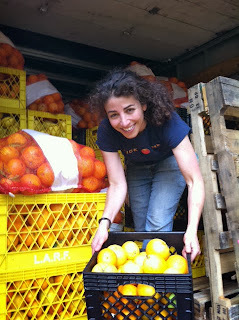 Combined, their numerous distribution partners provide food to over 40,000 clients a month across Southern California. Since forming in 2009, they have harvested over 1,680,000 lbs. of produce. They couldn’t do it without the help of local volunteers who are passionate and active in their efforts to harvest food, fight hunger and build community. 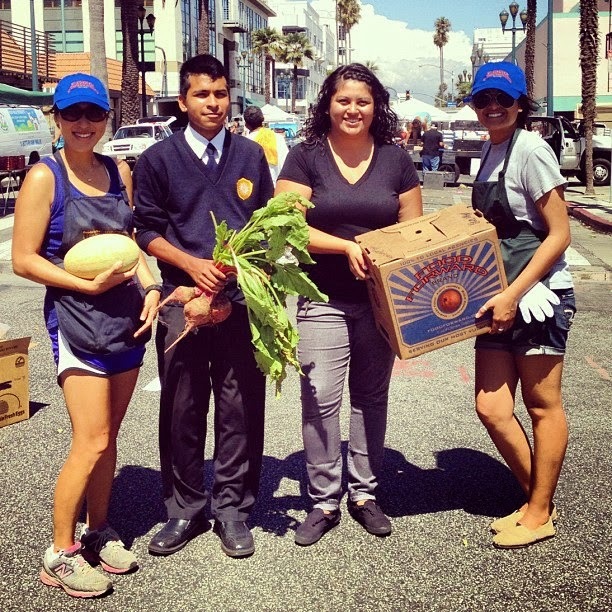 Food Forward not only battles hunger in Southern California, but also battles the environmental issue of food waste. An article published in the journal PLOS in 2009 calculated that food grown and then thrown away accounts for almost one-quarter of all America’s freshwater use. Food dumped in a landfill rots and creates methane gas, a greenhouse gas 21 times more potent than CO2. In the EPA’s Food Recovery Heirarchy, donating surplus food to the hungry is the second most important step to solving the food waste problem - even more important than composting! Sunday, October 13, at The Green Tent, Crossing Guard Ryan will share with you how to get involved in Walk to School Day and how to stay safe when walking in Los Angeles. National Walk to School Day is October 9th and LADOT has partnered with the LAUSD to promote the first ever citywide Walk to School Day events. Schools throughout Los Angeles are registering to participate and celebrate the joys of walking. Events are being held throughout the month of October and include incentive giveaways, student assemblies, walking school buses, and other fun activities. Do you have a connection at a school that is not registered for Walk to School Day? Are you interested in being an event organizer or know someone who is? It's not too late to sign up! Talk to your principal about the event and register online at http://www.walktoschoolday-la.org. The website has the resources and guides you will need to help create a successful event. Need more information about Walk to School Day? Call the hotline at 213-478-0475, extension 101, or email WTSDLA@altaplanning.com.